Welcome to a political blog for the people. I hope Joe Biden runs for President. It is likely he will not, and no one would blame him for wanting to eschew the rigors of a campaign. The recent lost of his son may have convinced him to just finish out his term as VP, and spend his remaining years enjoying his family. However, I hope Joe Biden runs for president, because I am reminded of what President Obama recently said about his late son Beau during a tearful eulogy. "Beau Biden was an original. He was a good man. A man of character." I think the apple didn't fall far from the tree in this case. I think the country needs Joe Biden -- his straightforwardness and the wisdom that comes from years of public service. What is also significant to me is that his son Beau volunteered to serve in Iraq. Joe Biden, like many military families, understands what it means to have a child in a war zone. My desire for a Biden presidential run didn't just start recently. I remember last year discussing the upcoming 2016 election with friends who had worked on the Obama campaigns with me. We discussed the dearth of candidates we could get excited about. These were people who put in "blood, sweat, and tears" to build the momentum and get out the vote for Obama. Our contingent in Riverside County, Calif., included suburban moms, African-American and Latino single women, high school and college students, LGBT activists, and many, such as myself, who had never before been involved in a campaign. Nevertheless, for those of us who support a Biden candidacy, there are concerns. Namely, that in spite of his outstanding public record in support of women, workers and American families, and his extensive foreign policy experience -- many seem ready to dismiss Joe Biden as a lightweight. His so-called gaffes are brought up often and some in the GOP have started referring to him as a joke. (Ted Cruz even joked about him as he prepared to bury Beau.) I think this characterization of Biden is partially because many potential opponents know he is indeed a contender. "The criticism of Biden appears to be an attempt to weaken his credentials as one of the only competent members of the Obama administration's foreign affairs inner circle. It also appears to be an effort to lessen his viability as a serious candidate for president in 2016.No matter how politically incorrect Biden -- the working class Joe from Scranton, Pa. -- has been, his mouth, in fact, is his strongest tie to the average American, who can relate not only to what he says, but to how he says it." "If you follow Vice President Joe Biden, you know he has a reputation for being politically incorrect and too blunt." To that I say: I agree, but if his heart is in the right place, is that such a bad thing? Does he understand and can he empathize with the plight of today's struggling middle and working class families? Biden's personal life offers us a glimpse into the heart of this man. We know about the tragedy of him losing a wife and child at the very beginning of his Senate career, and his close relationship with his remaining children. We know about the family he built with Jill. Dedication to family defines him. Another question is -- is he genuine? It's not easy being genuine in the political world, especially for politicians of Biden's stature. Every action, every event -- no matter how personal, is placed before the camera and becomes bait for discussion. I don't know Joe Biden, have never met him. Like many Americans I did watch the services for his son. We saw true emotions from this Dad. This wasn't a "be strong for the camera" event. And that is what we like about Biden. Even with the gaffes, you get the feeling he is the real deal. Not a lot of pretenses or poll driven reactions. "Don't forget about what doesn't come from this prestigious diploma -- the heart to know what's meaningful and what's ephemeral; and the head to know the difference between knowledge and judgment." "Resist the temptation of your generation to let "network" become a verb that saps the personal away, that blinds you to the person right in front of you, blinds you to their hopes, their fears, and their burdens." "He gets it!" I thought. Here is someone who can truly represent the middle class. It has nothing to do with what your net worth is, it's where your heart is. Biden's heart is in the right place, showing empathy with the everyday American. Biden is beloved by many segments of the populace, including the youth. He may not have the Bernie Sanders effect that some of our young people are embracing, but Biden can actually win over middle America. Even the most fervent Sanders supporters doubt his ability to win the election. My 16 year old daughter, who will be voting for the first time in the upcoming presidential election, had this to say on why she would vote for Joe Biden, "I feel like he's on Obama's level of chill." Okay, so like much of what she says I have no idea what "level of chill" means, but I do believe Biden can get the youth and the college-age vote. And the Black vote. Joe Biden's closeness to Obama endears him to many. For the most part, he is one of the few DC-insiders who has always given Barack Obama respect -- as President and as a man. 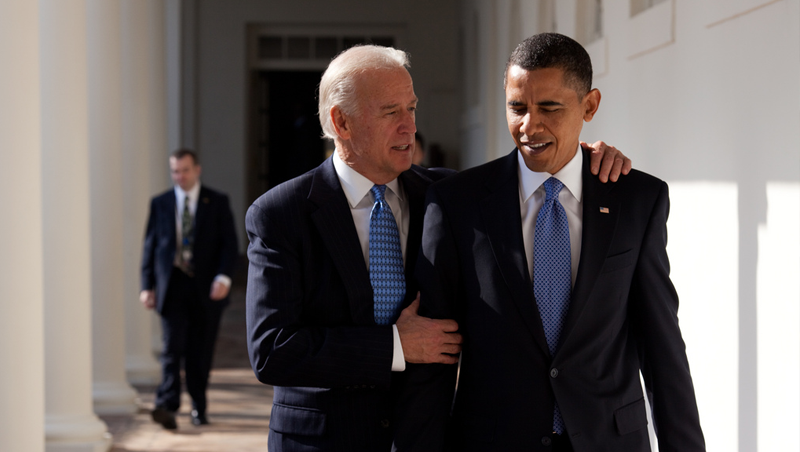 Biden comes across as the friend you want standing beside you. He won't change with the wind. And what about Hillary Clinton? Well, I think she would be an excellent Vice President, providing leadership and strength to a Biden administration. The Obama election represented "hope and change" as its winning theme. A Biden campaign would hopefully be about unity. We are all tired of the divisiveness. The us versus them; rich versus poor; black versus white; red versus blue; female versus male landscape we are now in. This is what Barack Obama alluded to in that famous speech at the Democratic convention that got so many Americans excited about him as a possible presidential candidate. The work continues. I believe the country is ready to unite as Americans and move forward. Again, no one could blame Joe Biden if he decides to skip the race. But I think, at this time, America needs a guy like him for President. I sure hope he runs. So much of life is about timing, and this is also true in politics. Isolationism: a policy of remaining apart from the affairs or interests of other groups, especially the political affairs of other countries. "My fellow Americans, we live in a time of great change. Tomorrow marks 13 years since our country was attacked. Next week marks six years since our economy suffered its worst setback since the Great Depression. Yet despite these shocks, through the pain we felt and the grueling work required to bounce back, America is better positioned today to seize the future than any other nation on Earth. Our technology companies and universities are unmatched. Our manufacturing and auto industries are thriving. Energy independence is closer than it’s been in decades. For all the work that remains, our businesses are in the longest uninterrupted stretch of job creation in our history. Despite all the divisions and discord within our democracy, I see the grit and determination and common goodness of the American people every single day, and that makes me more confident than ever about our country’s future. Abroad, American leadership is the one constant in an uncertain world. It is America that has the capacity and the will to mobilize the world against terrorists. It is America that has rallied the world against Russian aggression and in support of the Ukrainian people’s right to determine their own destiny. 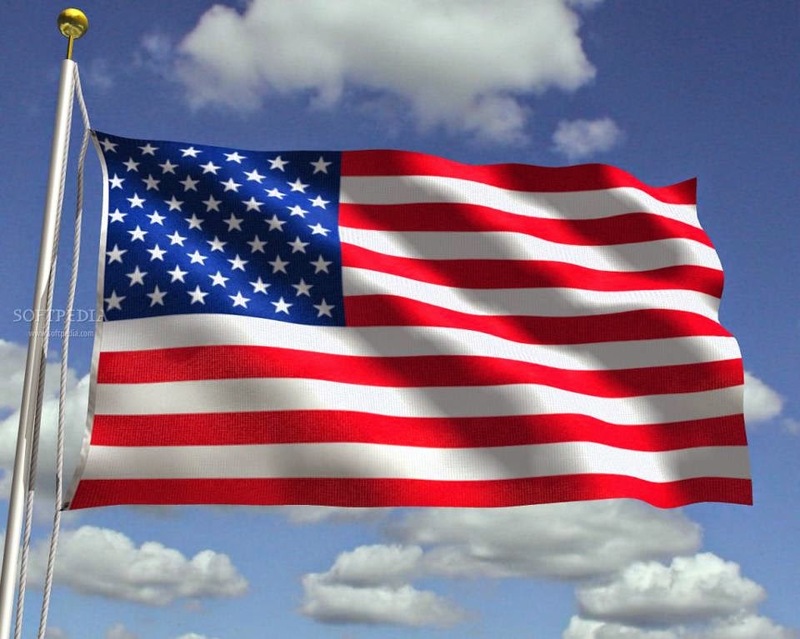 It is America -- our scientists, our doctors, our know-how -- that can help contain and cure the outbreak of Ebola. It is America that helped remove and destroy Syria’s declared chemical weapons so that they can’t pose a threat to the Syrian people or the world again. And it is America that is helping Muslim communities around the world not just in the fight against terrorism, but in the fight for opportunity and tolerance and a more hopeful future. America, our endless blessings bestow an enduring burden. But as Americans, we welcome our responsibility to lead. From Europe to Asia, from the far reaches of Africa to war-torn capitals of the Middle East, we stand for freedom, for justice, for dignity. These are values that have guided our nation since its founding." Isolationism as a foreign policy will not work for America. Especially in today's world where we are all interconnected. The bottom line is, leaders lead..... they do not withdraw or ignore. We no longer have news; instead, we have trends. And, one thing we can be sure of -- what is trending today, no matter how earth-shattering or horrific, will most likely not be trending a few days later. 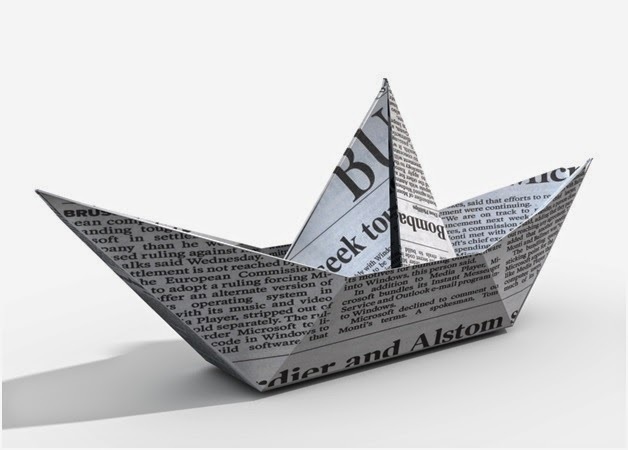 We can select our news: what we want to follow, see, and hear. Not only that, we can create our news. With social media, we each have our own private newspaper where we post and display highly-edited versions of our lives for all to see. News - both the personal and the external - is an ever changing slide-show. Big pictures, small headlines. Next. In the meantime, stuff happens. Each event is just another Wikipedia entry. Nothing lasting comes from it. Few people even have a 'cause' these days. Unless we are personally involved, nothing seems to make a lasting imprint on us. I discovered this a few weeks ago during the Santa Barbara shooting rampage (remember that?). During the TV reporting of the incident, it was mentioned that it was nearly a year after a prior shooting in which several were killed at Santa Monica College. Huh? I couldn't remember it. I asked several friends and they too had a hard time remembering. Only my brother, who lives in Denver, could recall a story of two of the victims -- a dad taking his daughter to register for school and both getting caught in the melee. Some of my Southern Cal friends went back to their calendars to see what they were doing or what else was going on in the world at the time of the tragedy (June 7, 2013). Was there something that trumped it? A reality star wedding? We live in a world where too many would rather keep up with celebrities than the news of the day. We would rather be entertained than informed. We know more about fake 'real' housewives than about our neighbors. Our news stories, no matter what they concern, just don't get much time to grab our attention. Sure, if there is a trial involved with many salacious details, we just might tune-in. Media rewards us for this by giving continuous coverage, similar to preempting programs for car chases. Not only do we forget....we don't act. Columbine, Aurora, Virginia Tech, Sandy Hook, the Arizona shootings -- after each we hear the righteous indignation and calls for gun control and more mental health services. But these calls fall on deaf ears. Our government today is too dysfunctional and too partisan to accomplish anything. So we go back to the fantasy of reality TV and wait for the next episode of real life. If Sandy Hook produced nothing...and has been forgotten...is there any hope for us? Anyway -- who has time for causes when there are endless ways for us to be entertained? Not to mention the substances we have to provide escapism from the world's problems. If something does grab our attention (probably involving cats or zombies) -- we can always 'like' or 'favorite' the story and even 'share' it with others. Or, maybe we'll just save it to read later? Yeah right. There is no shortage of people who are writing and reporting on the news. But they are just voices in the wind. Each story blown away by the next storm. Even with our 'reality' shows, the antics are screaming louder and louder for attention. Real life is not a hashtag and news is not a trend. BTW.....where is that Malaysian plane that disappeared? (#WheresThePlane) and where are the Nigerian girls? (#BringBackOurGirls) and why are there so many murders in Chicago? (#MurderCityChicago) and #Gaza and #Ukraine and #Syria and #Iraq and #ClimateChange and #Drought and #Obamacare and #DoNothingCongress and #BorderChildren and #################. "2012-2014-2016 -- What about the Moms?" 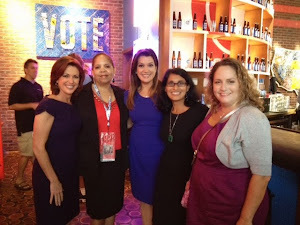 An interview from the 2012 Democratic National Convention. It was for CNN and Headline News. This was a HARD interview for me and my hat goes off to those who do this on a regular basis. 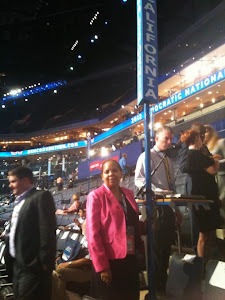 I had to be careful with what I said and how I said it because I represented not only my area and California delegates, but also African-Americans and last but not least -- suburban moms. These issues will continue to be important in the 2014 and 2016 elections. The O.J. Case: "Wink, Wink"
I had seen him working the grounds of the Orlando resort property where I was staying with my mom and my then year-old son. He never acknowledged us. He didn't even look our way although I was sure he saw us on numerous occasions. I thought this was odd because there were very few African-Americans at the resort and there is an unspoken rule in the black community that in these situations we acknowledge each other... even a nod would do. I recently thought of that long-ago time at the resort in Orlando because it was there that I heard the verdict in the O.J. Simpson case. We are at the 20-year anniversary of what has been called the "crime of the century" and there is much in the media these days on the murders, the trial, and that infamous car chase. For those too young to remember, they are getting an introduction to the circumstances surrounding the case, albeit with hindsight. For me, another memory from that resort is of a newspaper headline. One morning, as we waited at the shuttle stop for a ride to the theme park, I glanced at the nearby newsstand. When you spend a few days in the parks with a 4-year-old you can lose track of the outside world, so I was glad to see a newspaper. That is until I took a good look at the cover. On the cover of the newspaper, there was a large photo of one of the cutest black kids ever, maybe around 5 or 6 and sporting a wide grin. The headline in large letters said something to the effect that this was a portrait of a KILLER! Apparently, he was an adult charged with murder and the paper had used his childhood photo. The message wasn't even subliminal -- it was like being hit with a freight train. It brought me back to reality quickly, even on the pristine grounds of the resort. I wondered what the black groundskeeper, the man who ignored us, thought about the paper. I'm sure it was not an opinion he could openly express, especially there. I also understood the reason the groundskeeper didn't feel the need to acknowledge us. He just kept his head down and did his work. He couldn't relate to me, or any of the guests at the resort. It was not a racial slight, it was economic. Today, 20 years later, most of the articles and stories on the O.J. case still focus on reactions according to race. A few dig deeper to describe the role money, fame, and privilege played in the case and the outcome. However, the common refrain remains: "Your reaction to the verdict depends on your race." Not entirely true, but not entirely false either. As so many recent analyses have told us (as if we don't know this) there has historically been a lack of trust in the black community concerning law enforcement and this affected viewpoints on the case. We waited in our hotel room at the resort to hear the verdict. Yes, I will admit I was shocked. As we walked through the lobby and toward the shuttle stop there seemed to be a lot of shocked people. I may be wrong, but their glances toward us seemed to be a little unfriendlier. Once we were outdoors, walking through the lavish greenery, I saw the black groundskeeper. He was not looking down or ignoring us this time. As a matter of fact, he was looking right at us. Still, he did not speak as I approached him and we were face-to-face. Instead, he winked. "Summertime and Condoleezza for President?" After a relatively quiet Spring, things are heating up in Washington even though it's not officially summer yet. As we move toward the 2014 mid-term elections in November, and Republicans aim to take control of the Senate, we can be assured there will be no shortage of accusations, investigations, resignations, and recriminations. And of course, the GOP-controlled House will vote to repeal Obamacare a few more times. Also in their sights: inflicting political damage on presumed Democratic Presidential nominee Hillary Clinton. One of the major civil rights issues we are facing -- Voter I.D. laws, are not going away, especially in swing and southern states with large numbers of minority and young voters. Voting rights will remain an issue as America's demographics shift toward youth and people of color. Maybe the GOP will come up with a successful outreach effort to reach these groups, but it doesn't appear to be the case now. Where are we with Immigration Reform? 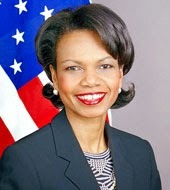 An interesting prospect is -- Will the GOP put Condoleezza Rice on the ticket? She is a darling on the right and might even get Southern Conservatives on board (because they will be in an "anybody but Clinton" mode). African-American women are a key and consistent voting-bloc within the Democratic Party, and at the heart of many campaign volunteer efforts across the country. (However, I would wager that few of the campaign expenditure funds -- and we're talking multi-millions here that are spent on workers, consultants, lawyers, media, etc., make their way to black women or black men!). I can still remember sitting on the Convention floor amazed and getting a text from my son, who I didn't expect to be watching at his college, saying, "Mom...he is killing it." And, he did. Bill Clinton, more so than any other speaker summed up the reasons to vote for Obama. And then he got out on the campaign trail and campaigned for the President. His appeal remains massive in minority communities. Still, it is intriguing to ponder -- inside the voting booth, when faced with an African-American woman choice for President, or Vice-President, will black women (some of whom might be considered conservative to moderate) vote for Condoleezza Rice? If so....would the numbers be enough to push the GOP over the top and back into the White House? Washington Watch: "GOP Betting Against Obamacare?" The GOPers in the House are going for the gold -- voting for the 50th time to repeal Obamacare! There are so many pending issues that need attention from our legislators (and isn't this why we send them to Washington?) Let's see....immigration reform, women's rights (fair wages), job creation, supporting veterans, extending unemployment benefits, creating a living wage for all workers, strengthening education -- the list goes on. Instead of tackling our nation's problems and working to strengthen the middle-class, the GOP wants to ride this dead horse to the elections this year. Still no solutions from them. Just campaign posturing. For this recent vote they picked up 27 Democrats who are worried about re-election, mostly in swing states. They are all traveling on a slippery slope because Obamacare sign-ups are increasing and health care premiums are being lowered for many Americans. Those who have allowed their anti-Obamanism to prevent them from signing up for new health care, are starting to ask..."Is this something that can actually benefit me?" "So what exactly did the Obamacare rollout do to cause such a rise? For one, it expanded the Medicaid program, a critical and highly controversial aspect of the law, by adding up to a $19 billion in benefits in January. 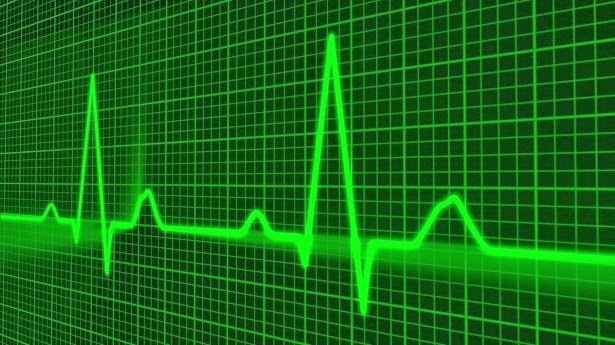 On top of that, health care enrollees additionally received another near $15 billion in the form of tax credits as a result of the rollout, according to the BEA. Together the two changes have freed up many Americans to spend money that would have gone towards health care premiums on goods and services instead." Yes....there are Americans whom have seen significant reductions in their monthly premiums. And then there are those with pre-existing conditions who can now purchase health care. In addition, workers who are tied to a job just to get health care benefits, can now go out and start their own business and secure comparable or lower cost premiums. Access to health care is only part of the problem. Paying for medical services is the other piece of the equation. Medical debts are mostly the result of cost-sharing (the percentage the enrollee pays for each health care service) and deductibles that must be paid before coverage kicks in. "An estimated 1 in 3 Americans report having difficulty paying their medical bills – that is, they have had problems affording medical bills within the past year, or they are gradually paying past bills over time, or they have bills they can’t afford to pay at all. Medical debt – and a host of related problems – can result when people can’t afford to pay their medical bills. While the chances of falling into medical debt are greater for people who are uninsured, most people who experience difficulty paying medical bills have health insurance." We're not done with health care reform if costs for services are escalating to the point where consumers can't pay. The Affordable Care Act (Obamacare) was just the beginning. Repealing it is not the answer. Augmenting it is. So we might as well accept that we are all in this together. This is the greatest democracy in the history of the earth. It's like a family. We may want to disavow a sibling, an aunt, a cousin, or any other relative. However, they are still our family. We can't change the DNA or the ties that bind us. It's OUR country and OUR government. We elect representatives (and maybe we need to pay more attention to whom we send to office) however, the onus is on us to keep this democracy going. To thrive and to prosper. To lead the world. To be inclusive so that ALL of our talent is recognized. And...yeah it's a cliche but really important...to leave a better (and safer) world for our children! 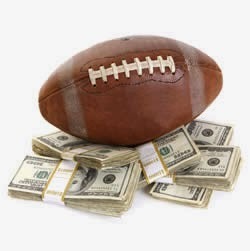 Washington Watch: Week 16 - "The 'Scandals'"
Linnie Frank Bailey 2013. Picture Window theme. Powered by Blogger.